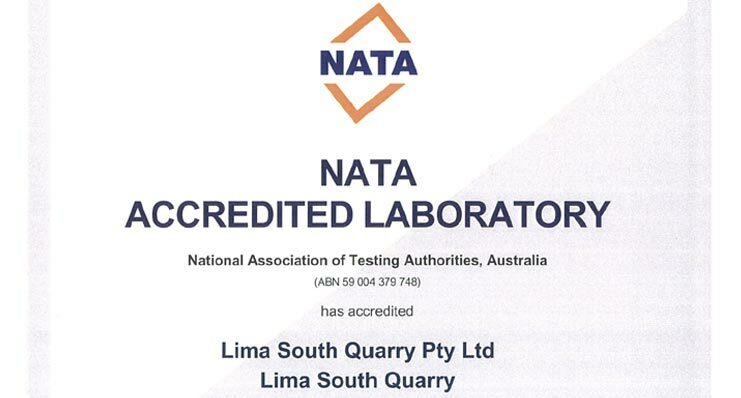 We are pleased to announce the LS Quarry Group has taken another step forward in supporting its mantra of “Superior Stone” and “Superior Service” with the NATA accreditation of our laboratory at Lima South. This will enable us to streamline the production process by not having to wait for external laboratories to carry out testing services and send results before we make adjustments to ensure products are all in the specification. Now LS Quarry Group and its customers will have NATA Accredited results available as soon as possible. Well done to Jim Hoollebone for making this happen in time for the 2016-2017 sealing season.